Today on Medieval Monday we are offering our congratulations to Karen Markuson who was the grand prize winner of our First Encounter theme giveaway. Karen won eCopy’s of all the books featured in this theme. Congratulations Karen! Karen ~ You may already have my eBook, For All of Ever, that was featured in this giveaway. If not, please contact me at sherry@sherryewing.com so I can get you your prize. Thanks to everyone who participated and followed my snippets these many weeks! We hope you enjoyed the first meet of our characters. There is nothing better than a Medieval Monday unless it’s if I can also share my time travel stories with my readers. 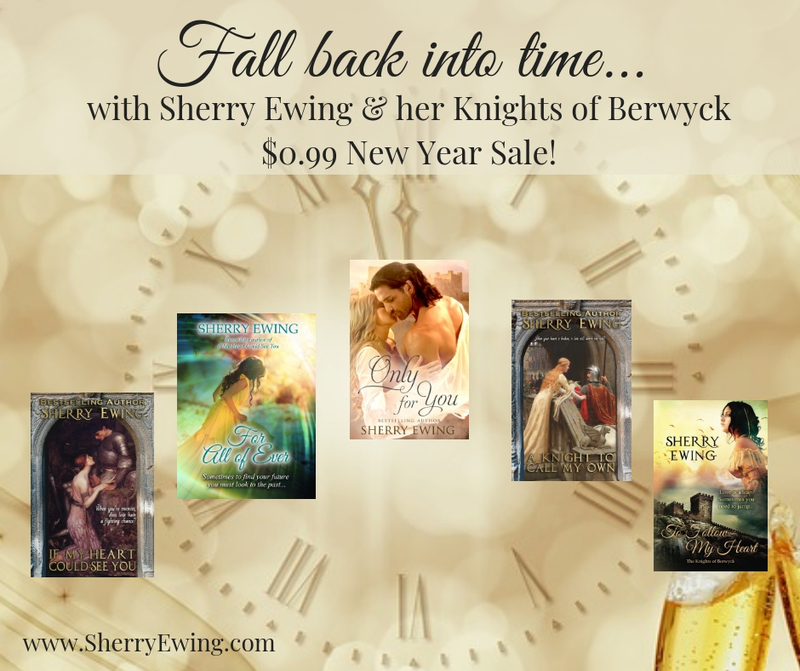 For All of Ever: The Knights of Berwyck, A Quest Through Time Novel (Book One) was a bit of a surprise. 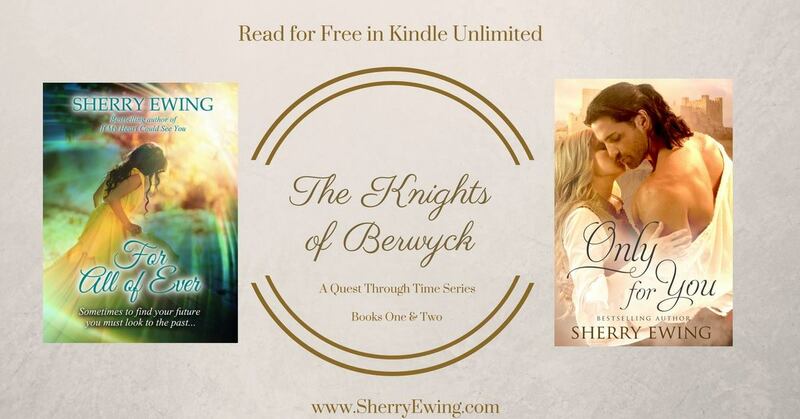 I never thought about writing a time travel romance and Lynet’s story from A Knight To Call My Own was supposed to be next. But my character’s are a stubborn lot and had to have their way. I have to admit that Katherine and Riorden are perhaps my favorite couple but shhhh… don’t let the others know. Enjoy this short excerpt from For All of Ever. In this scene, Katherine is having a dream about the knight she has dreamed about her entire life. In fact, both Katherine and Riorden share their dreams. Talk about a romance crossing time itself. Happy reading! He stood before her with his hand outstretched for her to take, a bit of arrogance and impatience clearly etched across his features. “Is it you?” she heard herself ask, even though she would have known this man before her no matter where in time he had found her. “I only mean to keep you safe,” he declared, not answering her question as he shifted uneasily on his feet. His eyes were ever watchful on the knights standing guard nearby. “Yes, I know. 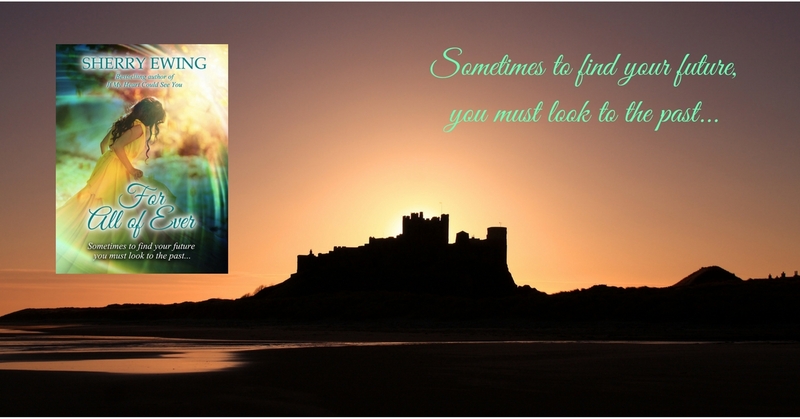 Have you seen me before?” she asked quietly, hoping that he, too, had dreamed of her. “You travel with King Henry? Mayhap, you are one of the ladies in waiting at court?” he inquired. One look at her humble cloak would have told him this wasn’t the case. “No,” she replied simply, for what explanation of where she came from would make sense to him. “You’re sire is here then. Perchance, I may return you to his side so I can ensure your safety,” he concluded. Once more, he held out his hand for her to take. She looked up into his blue eyes and began to wonder if she’d ever seen their color on another. To say they were blue, didn’t do them justice. She had dreamed of him for so many years, she could only stare in wonder that he really stood before her. There was no doubt she trusted him, so she did the most natural thing she could do. Smiling, she looked into his eyes as she reached out to take his hand. Neither was prepared for the reaction of their hands touching, nay, going through one another. For in truth, they did not stand there in the flesh. They were but memories of what could have been, if only they had been born in the same century. Their heartrending loss brought tears of sorrow to her eyes. With only one look at his face, she knew he felt it, too. “I do know of you…” he whispered, his voice like a silken caress across her soul. 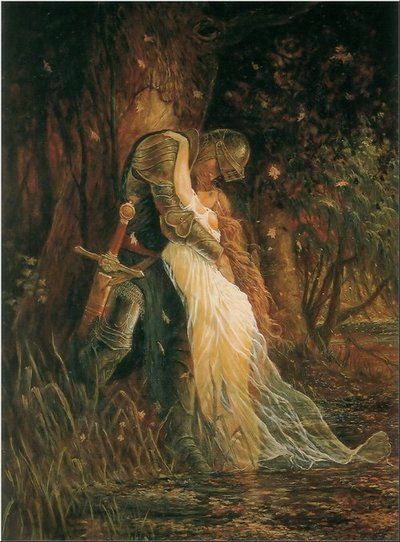 “I will find you,” she promised him as a mist appeared, surrounding his body until he was at last taken from her sight. Emptiness consumed her entire being with the knowledge he might be lost to her forevermore. She could do only one thing, now that he had been torn from her side. She wept. For All of Ever is only the beginning of Katherine and Riorden’s journey to finding love and continues on in Only For You. Get both books in Hearts Across Time, a special edition box set. Learn more about my books, buy links, and the reading order here. 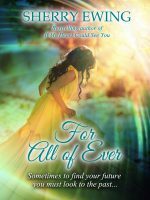 For All of Ever and Only For You are #FREE in Kindle Unlimited.